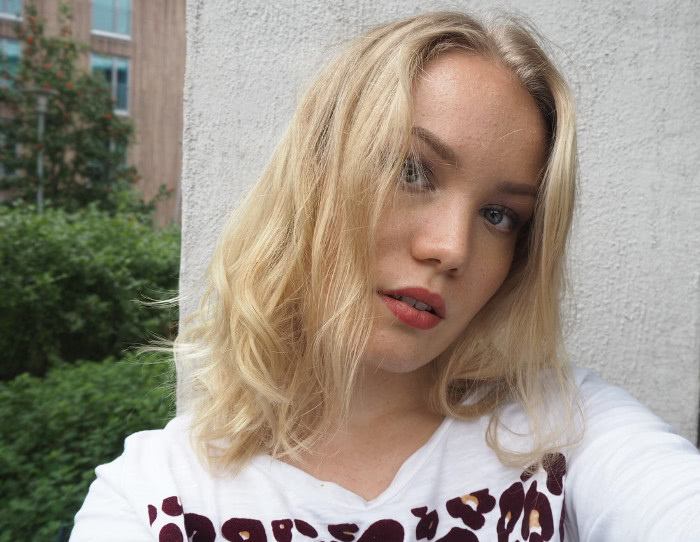 In collaboration with Susanna Pomèll from Healthyhair.fi. We’ve had some battles. We’ve gone black, orange, dark brown, pink and green. Some of these colors were my own mistakes, but there are also some bad hairdresser experiences. So naturally when it comes to my hair I’m a bit overprotective. And when it comes to hairdressers I’m quite scared. The fear is definitely not as bad as the fear of dentists, but it’s still there and on a night before my hair appointment, I’m sleeping restlessly. Luckily I’ve found some great hairdressers now and I’m slowly overcoming my fear of stepping into salons. 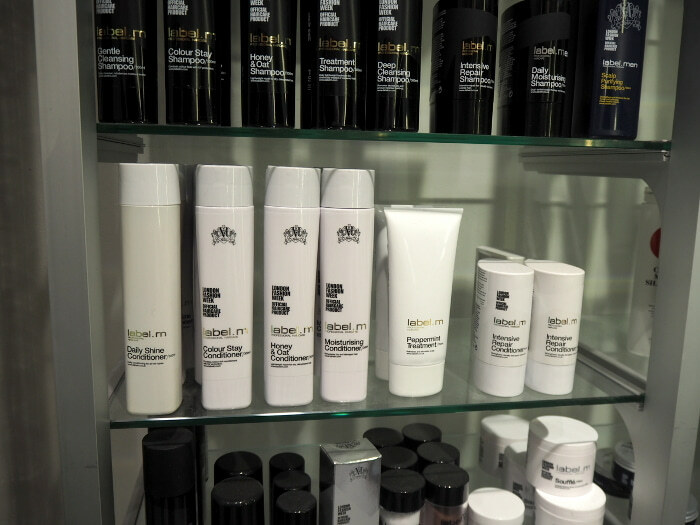 You can read my recent post about hair stuff in the post Hairdresser’s worst nightmare AKA me as a client. 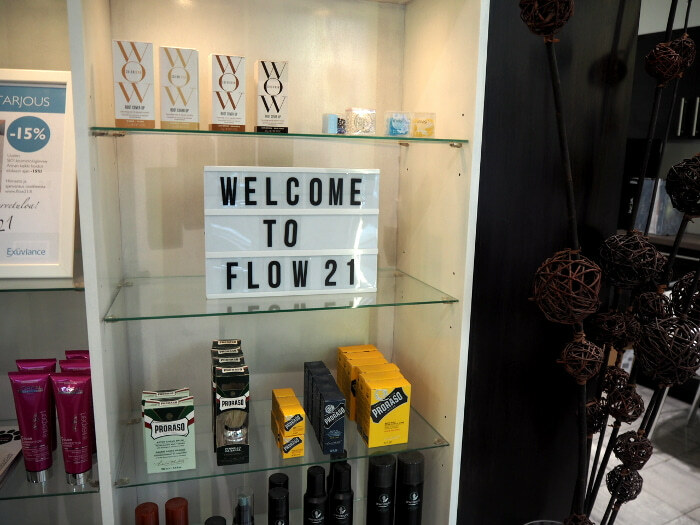 The recent hair salon I stepped into was Flow 21 and my hairdresser was Susanna Pomell. I had seen her work before, so I knew she was the hairdresser I wanted to collaborate with. Coming in and sitting in Susanna’s chair, I felt like I could relax. 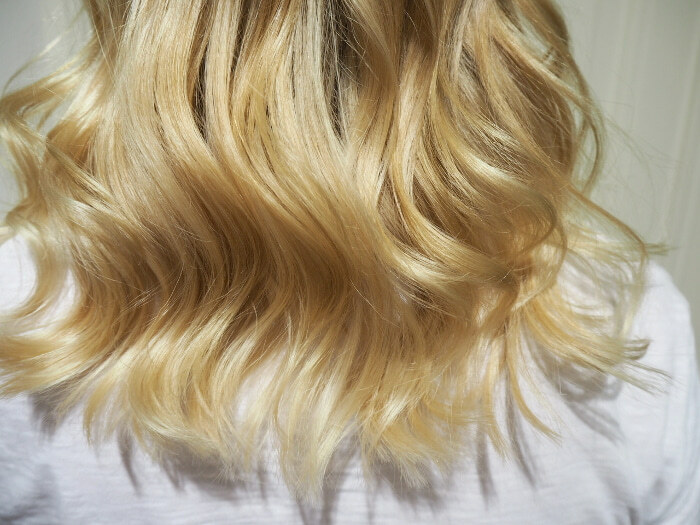 What I wanted for my hair was a cut, that would enhance my curls and make it look healthy. I’m trying to grow out my hair so I didn’t want to cut it too much – but I let Susanna decide how much was wise to cut. Because let’s face it: the broken ends don’t look good on anybody. Susanna was a professional and even though she only washed, cut and styled my hair – I felt like I got a makeover to my hair with those three (probably ’cause my hair was super dirty haha). I was happy with the results. Just look at how healthy and shiny it looks. I know my natural color is quite ashy, while the rest of my hair is almost golden. 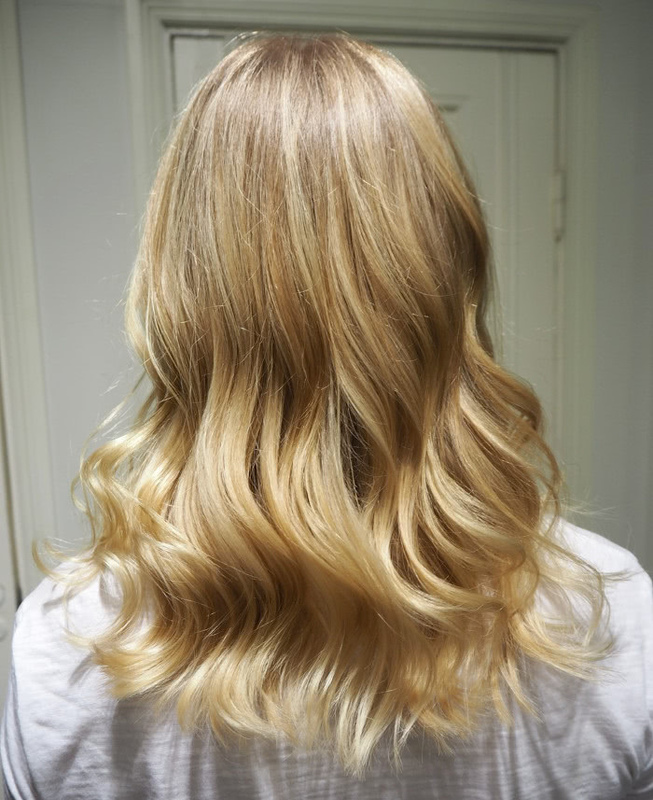 But since I’m trying to grow my hair, I’ll just wait for the golden color to grow out. I am using silver shampoo which helps a bit too to remove the brassiness. I’ve known Susanna for a few years now through another friend and as an entrepreneur her work is inspiring to me. 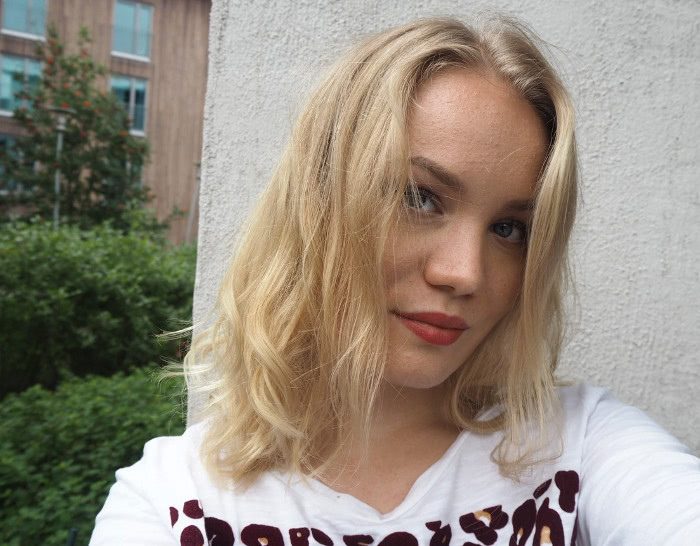 She works really hard not only at the salon, but also on her blog Healthyhair.fi and she updates regularly her social media channels. 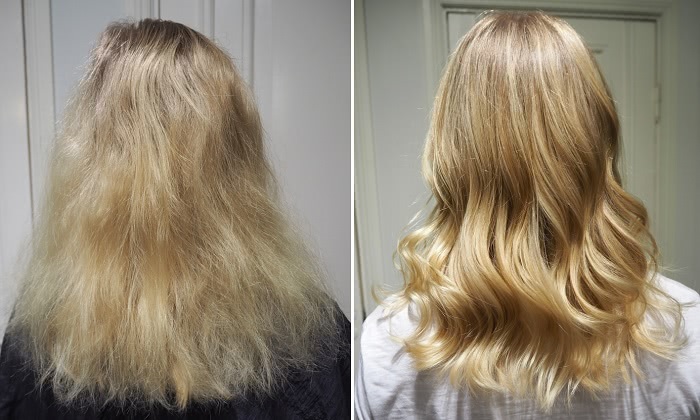 If you’re looking for a hairdresser to make your hair look healthy and fabulous and want your hairdresser to be down-to-earth and easy to communicate with – I warmly recommend Susanna. Especially to those, who are scared of hairdressers. I feel you and I think in Susanna’s chair it is way less scary than usual. Your hair looks amazingly lush! Thank you! I sincerely hope you’ll find a great hairdresser match too. Thank you! And wow, that does sound lucky.